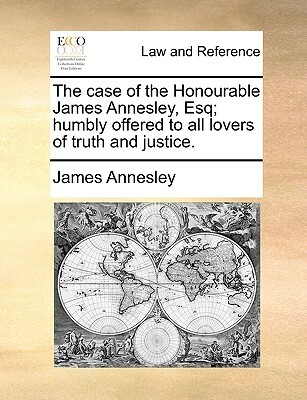 The case of the Honourable James Annesley, Esq; humbly offered to all lovers of truth and justice. The case of the Honourable James Annesley, Esq; humbly offered to all lovers of truth and justice. The case of the Honourable James Annesley, Esq; humbly offered to all lovers of truth and justice. Title: The case of the Honourable James Annesley, Esq; humbly offered to all lovers of truth and justice.